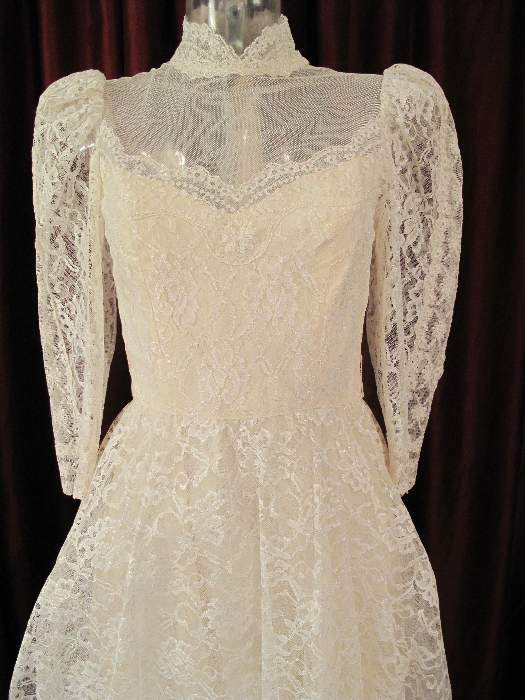 1960's Edwardian style ivory lace vintage wedding gown. 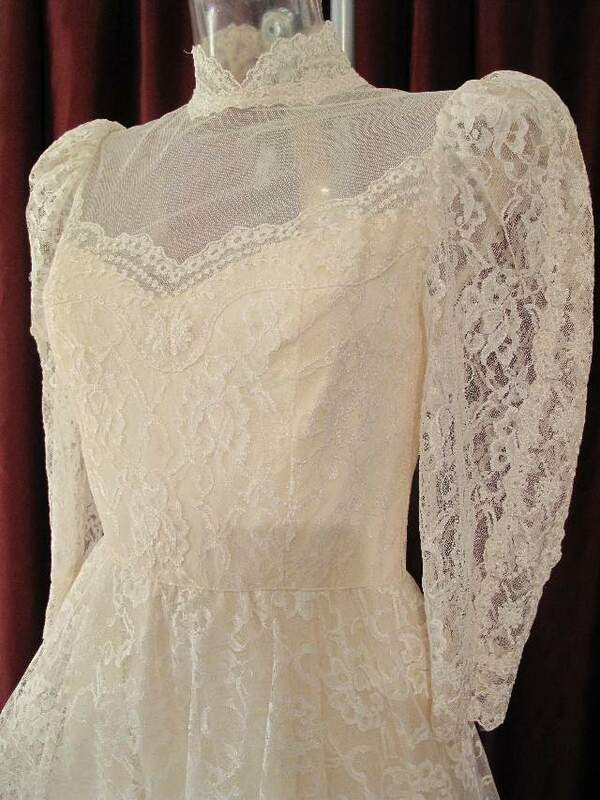 The dress has a lace covered bodice, with sweetheart neckline and sheer tulle up to the neck, with a fine scalloped lace collar and lace puffed 3/4 length sleeves. 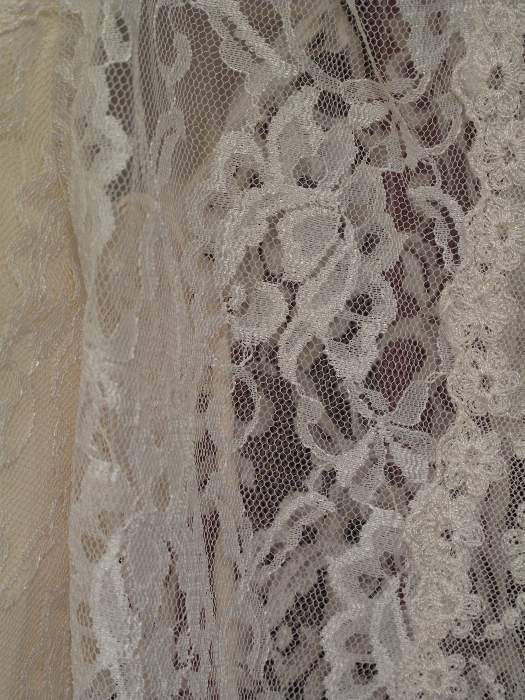 The skirt is lace over stiff net with scalloped lace trim at the hem. 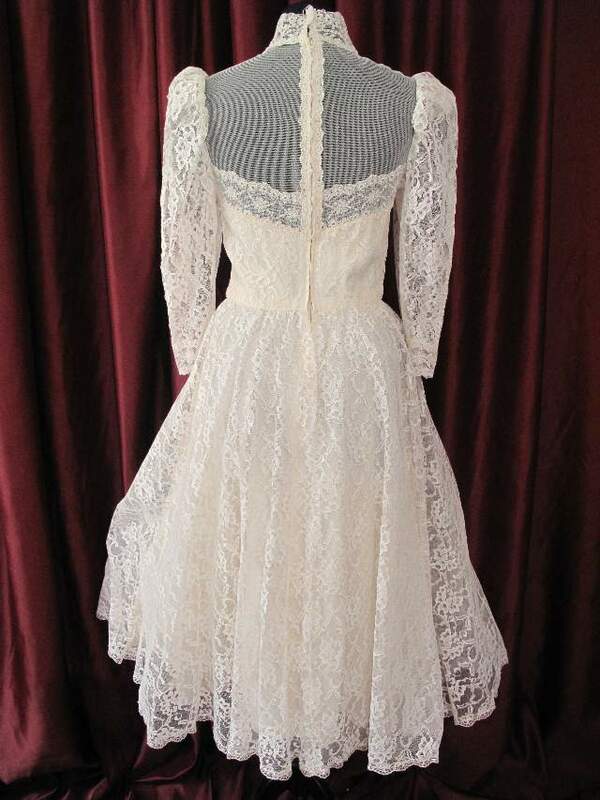 There is a back zip fastening. 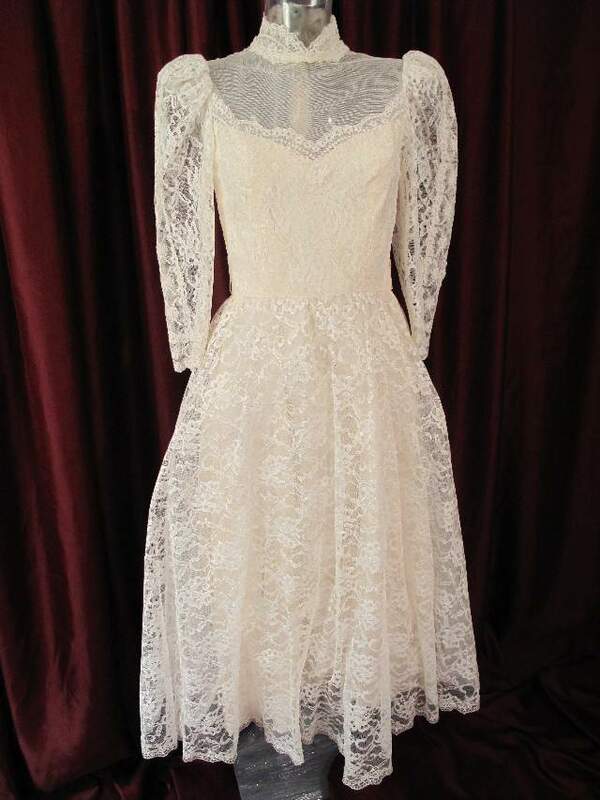 This is a traditional and romantic styled dress, ideal to add a vintage stamp to your day.